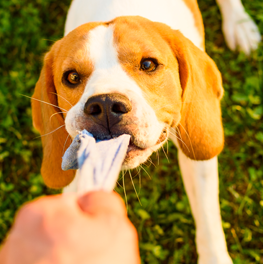 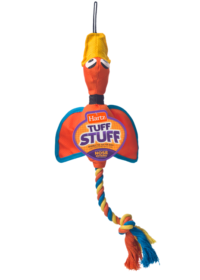 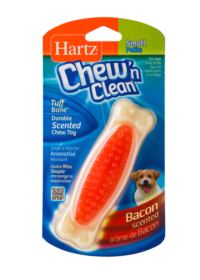 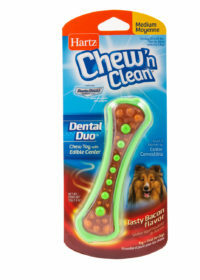 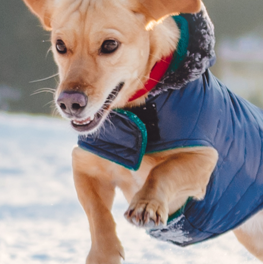 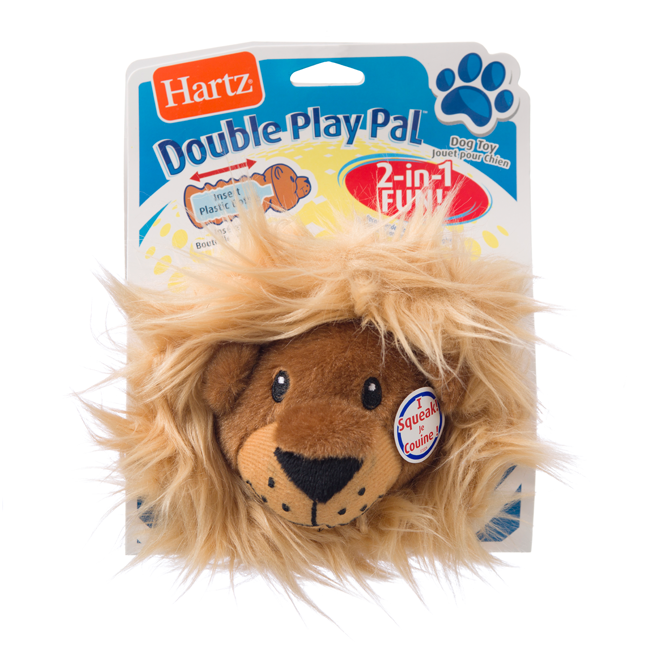 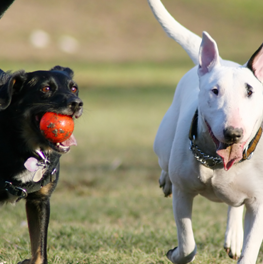 Dogs who go crazy for noise will love having a wild time with the Hartz Double Play Pal. 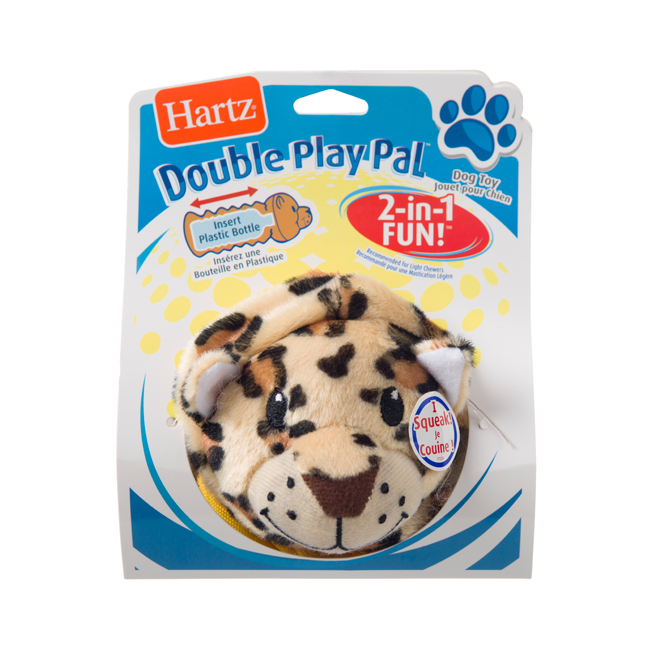 This big cat is designed for big fun, providing two play options for a howling good time. 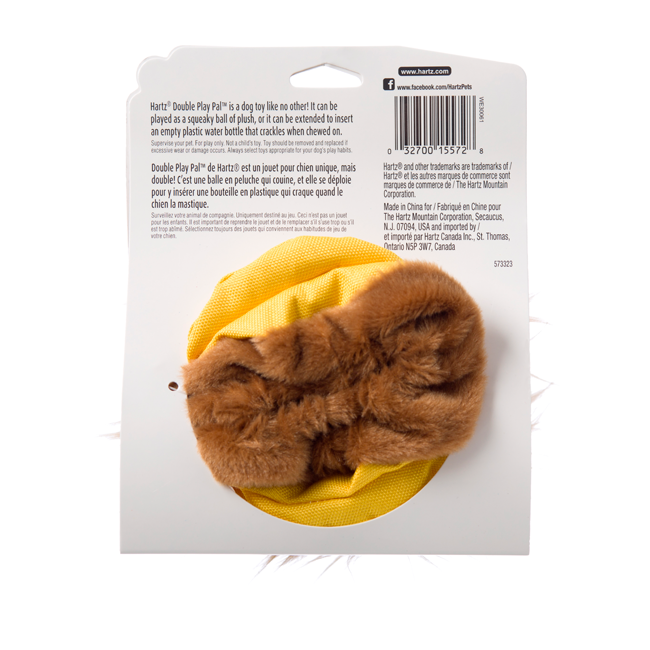 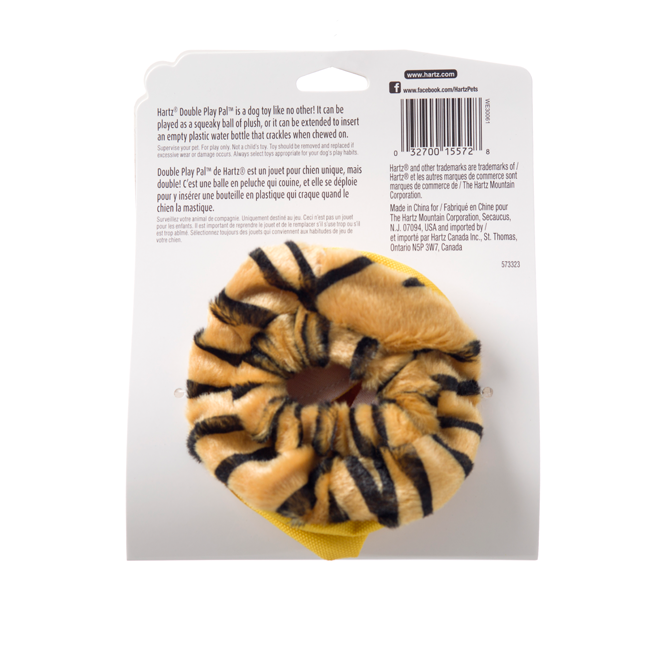 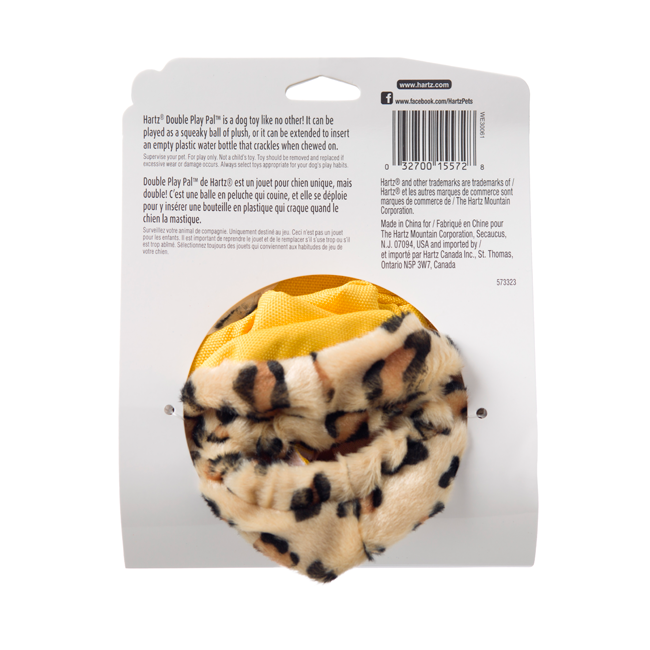 Collapse the feisty feline into a plushy ball for a classic game of fetch, with the squeaky head and rear attaching together with a sturdy hook and loop fastener. 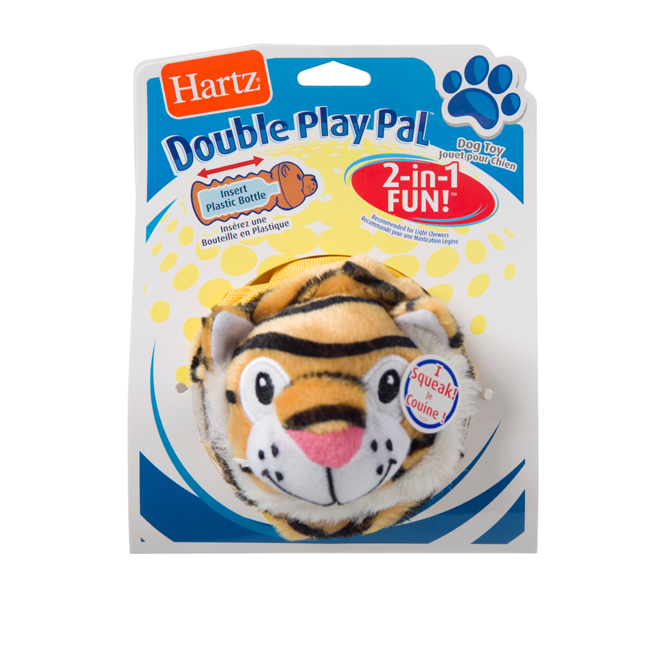 The Double Play Pal also expands like an accordion for tugging, and can be stuffed with an empty plastic water bottle. 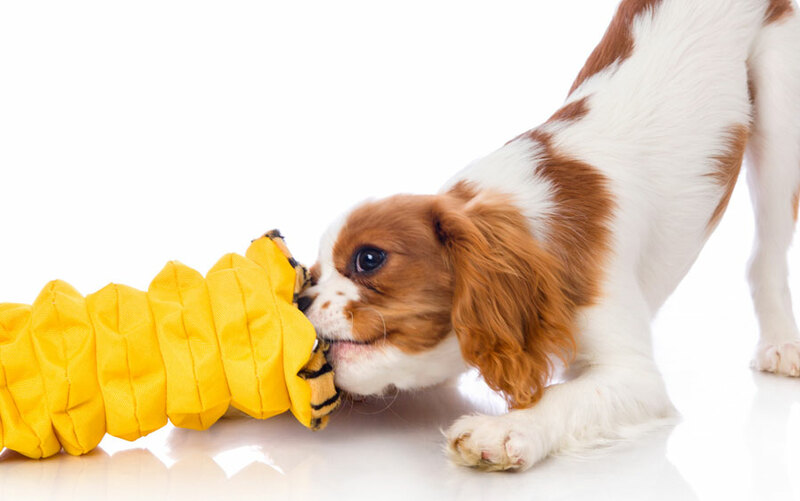 Combine crinkly affection with a tough but lovable plush character and you’ve got the ultimate boredom-busting toy and a tired, happy dog.